The infamous one-and-done policy that the NBA put forward in 2005 is almost dead, but the league and the National Basketball Players Association are still a couple obstacles away from fully killing it, according to ESPN’s Adrian Wojnarowski. As the rules currently stand, incoming prospects are not required to go through workouts, nor do they have to provide all medical information when entering the draft. For the 2018 draft, 11 of the 65 prospects refused to submit their league-wide physicals, with Michael Porter Jr. being the most notable player to do so. The new league proposal supposedly focuses on lottery teams, allowing them to independently examine a potential draftee and have access to pool doctor’s reports. The argument in favor of these new mandates seems to center around the owners and executives of billion-dollar organizations whining about wasted investments. Because these people are putting millions of dollars into young talent, they should have the right to look at the entirety of a player’s medical history, and make them participate in arbitrary drills. But that argument doesn’t exactly hold water with a system in place that gives so much power to the teams. 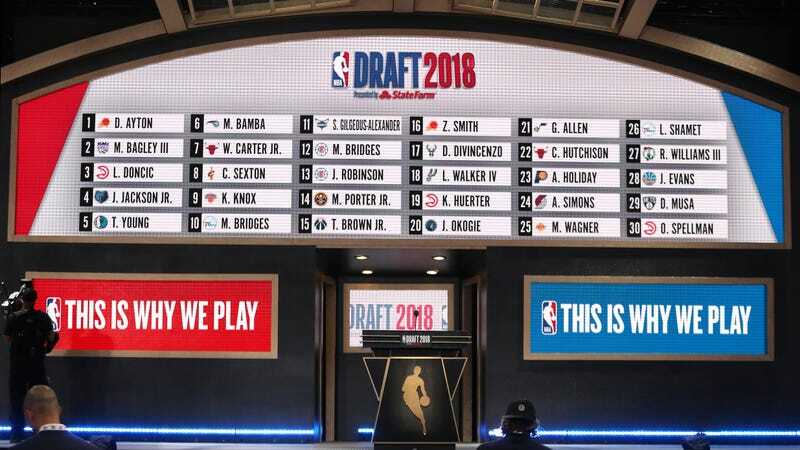 The NBA draft completely removes a worker’s right to choose their employer from this hiring process, so the players understandably need as much leverage as possible in these negotiations. Even after that, rookies can be stuck with the team that drafted them for up to six seasons before hitting free agency for the first time. If a player gets stuck in a tumultuous franchise that sees constant turnover, their chances of truly maximizing their career earnings begin to slip away. On the flip side, a franchise has the right to grossly underpay a player who could be driving in millions more in revenue than what he ultimately costs. The NBPA is showing its worth as a union and standing firm against allowing these new policies to take place. Even if the league does blink first in these negotiations, this would only be a temporary solution to problem that truly won’t be solved until the draft gets abolished entirely. But at least it’s a step in the right direction.